Call us today at (678) 439-9540 for your fast, free quote. Our proven method of pipe replacement is why we are recommended by home inspector and realty professionals. There is no better plumbing company to use for poly-pipe, galvanized, and corroded copper leaking in the wall or in the slab of your home. We travel all over the state of Georgia to replace pipes in homes. Our team has been together for over 15 years and consists of highly skilled w2 employees. Together we’ve replaced the pipes in thousands of single and multi-family homes across Georgia. Our company mission is to treat our vendors, employees, and customers in a fair way that builds long-term relationships and adds value to all sides. We are a stong team here to serve clients across Georgia with high quality services. Our team has been together for over 15 years and consists of highly skilled w2 employees who live locally in Atlanta, GA & the surrounding community. In 2012 we became a locally owned Georgia based corporation. Working with us means you are served by a locally owned company and by a knowledgeable, dedicated staff whom are passionate about plumbing. The highly skilled team at Plumbing Express specializesin turn-key water pipe replacement & re-routing, but that’s not all we do. 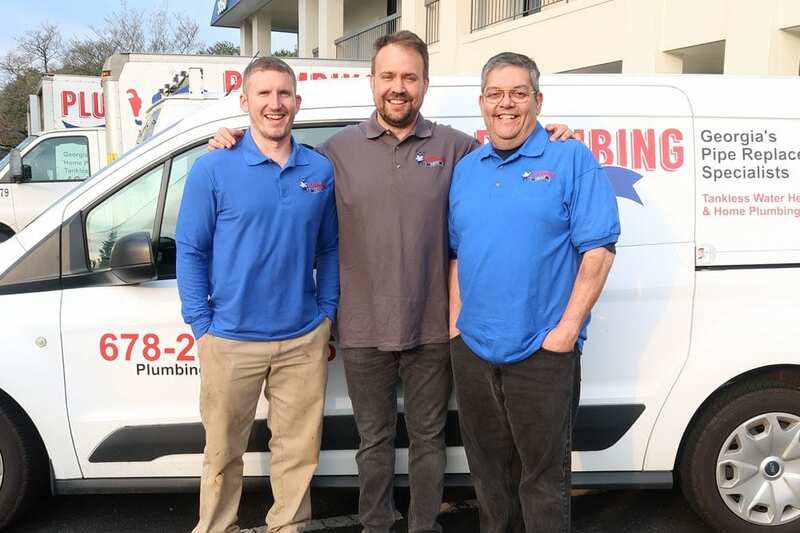 Our plumbing staff is standing by to assist with your complete home plumbing needs including polybutylene repipe services, water heater service, installation & repair, and everything from shower drains to sewer mains. We respect your time and home, and offer free estimates during our regular business hours. Please call us to discuss your plumbing situation. Give us a call today at (678) 439-9540 for your fast, free quote for plumbing service in the Metro Atlanta area.